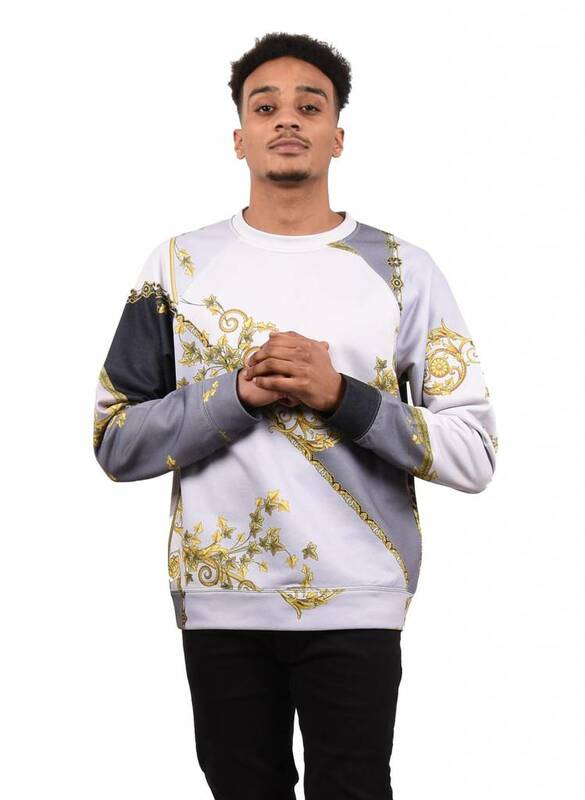 Grey Versace Collection 'Acid' sweater with long sleeves, round neck and gold baroque all over print. Gianna Versace Spa is on of the leading international design houses and a symbol of Italian luxury. 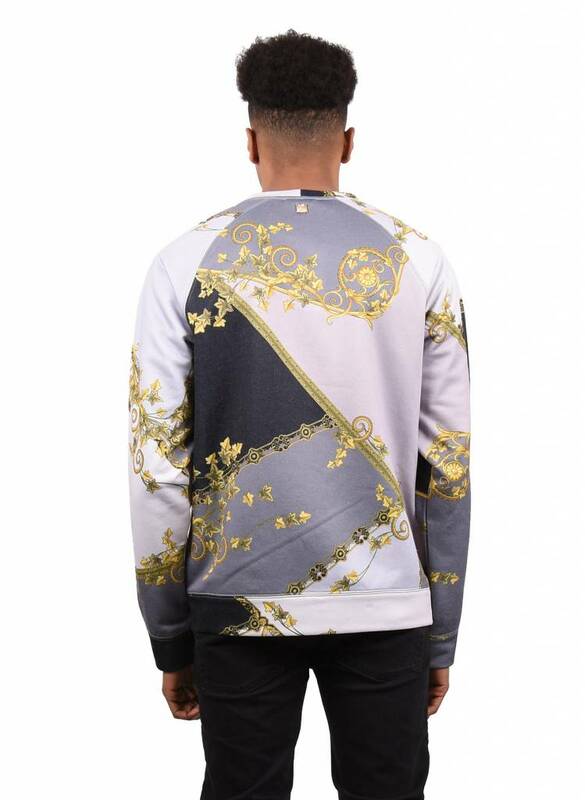 Since 1997 Donatella Versace has been the Creative Director of Versace Spa. 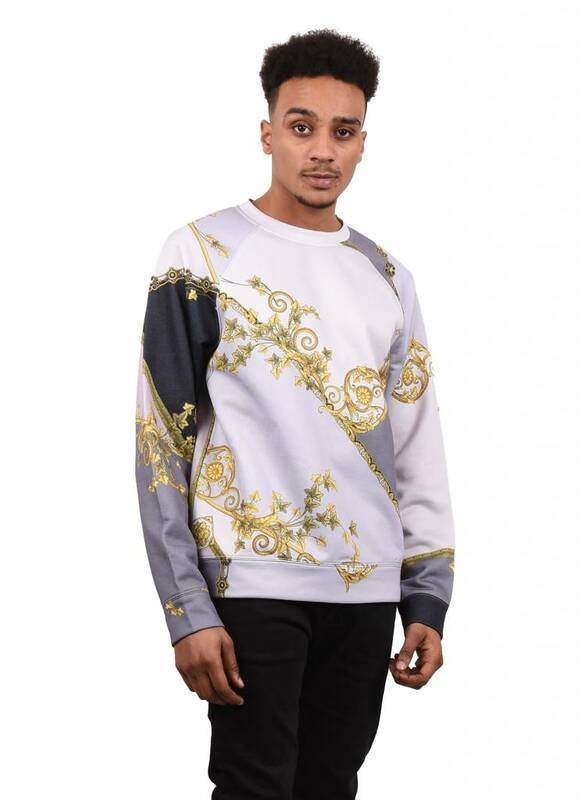 Versace is wel known for mixing classic design with todays contemporary fashion culture.